A new, DuPont-sponsored survey found that nearly three quarters of U.S. consumers (72 percent) are willing to pay more for improved food and beverage packaging that guarantees freshness. This roundup of packaging materials will help processors meet consumers' expectations. Cryovac OS Films garnered a gold award for technical innovation, while the Cryovac 805 Whole Chicken bag and LID 551P lidding film and package received silver awards in the same category at the Flexible Packaging Assn. Achievement Awards early this year. Cryovac OS Films are a proprietary oxygen scavenging technology. The Cryovac 805 Whole Chicken package is a hermetically sealed vacuum bag that is leak-resistant and virtually eliminates retailers’ concerns about wet, sticky packages in the retail display case and at the checkout counter. Created for the case-ready market, the LID551P trap-printed, peelable lidding film and packaging offers numerous benefits for whole muscle meats, including extended shelf life and merchandising appeal. Serve Box packaging consists of a table-ready rigid plastic tray, sealed with a transparent plastic dome lid. The reclosable tray can be custom-sized and formed to suit the dimensions of the product while holding it in place. Additionally, it can also be gas flushed for MAP applications to extend shelf life. The interior bottom surface of the tray is formed in a wafer pattern to promote proper circulation of the inert gas around the product. It features a tear corner and is designed for stacking for shipment and display. Neilson Dairy’s Oh!, the first milk to offer DHA omega-3 fatty acids, also became the first in North America to use the Pure-Pak Curve carton. The carton’s distinguishing feature is a curved fifth panel, a good message display space, that makes it stand out from traditional gabletop cartons. Otherwise, the paperboard materials are familiar and proven. The cartons are available in several sizes and incorporate a screw cap. The MQ501 heat shrinkable polyester cook-in bags are clear plastic bags that can withstand oven temperatures as high as 400°F and are used by meat packers and foodservice processors to prepare turkey breast, chicken breast and whole-muscle red meats. Shrink properties can be tailored to meet specific requirements and can range from 10-40 percent. The bags come in a variety of sizes and styles. Two new flexible packaging films with easy-to-open access and longer shelf life are especially suited for cheese makers. These products include packaging for soft specialty cheeses such as fresh mozzarella, chunk/sliced respiring natural cheeses and bulk shredded cheese. Curpolene 7019 film offers an alternative for the packaging of chunk or sliced carbon dioxide-respiring cheeses such as Swiss, Emmental and Gruyere type cheeses. For bulk shredded cheese, the new Curpolene 7195 film meets the demand. A new line of clear Shure-Lock square containers incorporate the In-Mold Labeling (IML) injection process. The containers feature a square shape that allows retailers to maximize cubic space. This line offers a space efficient solution for packaging, protecting and displaying a wide variety of food products including: deli products like prepared salads, salsa, hummus and fruit; and dairy products like specialty and grated cheese. The containers also feature the Shure-Lock food safety system. A new grade of Topas COC (cyclic olefin copolymer) for packaging applications, Topas 8007F-100 provides a broad processing window as a blending component in polyethylene-based packaging films to add stiffness, thermoformability, controlled tear, improved sealing and anti-block characteristics. Additionally, it complies with U.S. and EU food contact regulations and has been evaluated in commercial programs. It can be used in packaging applications and markets including flexible food packaging, blister packs, medical overwraps, pouches, forming webs and shrink films, as well as rigid packaging applications such as medical bottles, vials and syringes. The vendor’s next generation of coextruded barrier films features Dow Chemical’s Saran polyvinylidene chloride (PVDC) resin. Recent advances in Saran resins and in multilayer blown film extrusion processing (including larger dies) now make it possible to coextrude wide-width clear, barrier film for many challenging applications. The produced film is suited for standard converting equipment producing laminations and/or rollstock for end-use packaging applications such as coffee, cheese, soups, sauces, processed meats, pet food and medical products. Structures made with Saran resins are unaffected by humidity – either from the environment or from the moisture in the product itself. Flexi 6818 is a peelable lid stock for thermoformed PET trays. The lamination features heat-seal coated polyester coupled with metalized, white oriented polypropylene. The new film offers the ability to produce two-sided print. It can be sealed around the face of the tray leaving a corner exposed to grab and pull for product access, and the structure features the vendor’s Flexi-Free solventless technology, ideal for consumer goods and solid or semi-solid products (food items, room freshener gels, etc.). DuraFreeze is a new addition to the existing line of moisture-resistant paperboard, created specifically for refrigerated and frozen foods packaging. Select fibers give it high compression, tear and stiffness value. Durability means less corner crush, improved stacking strength and production line and point of purchase integrity. And it boasts great ink holdout, a bright and smooth printing surface for high-quality graphics and a smooth and clean backside for reverse printing. Fusion-Pak is a packaging platform that combines the graphic reproduction capabilities of board with the flexibility of thermoformed plastic. Heavy-gauge paper is conventionally printed on one side. The reverse side of the board is specially coated for thermal fusing with molded styrene trays to create a single package capable of protecting and presenting the brand identity as well as the product. Nearly three quarters of U.S. consumers (72 percent) are willing to pay more for improved food and beverage packaging that guarantees freshness, according to a new survey of 1,172 U.S. consumers sponsored by DuPont. Survey results revealed that freshness, along with taste, is a top concern for consumers when purchasing food — beating out price, convenience and brand. Some 60 percent ranked taste or freshness as the most important factor when purchasing food, and 72 percent were willing to spend at least 10 cents more on a $3 food item — or an additional 3 percent — on better packaging that guarantees freshness. 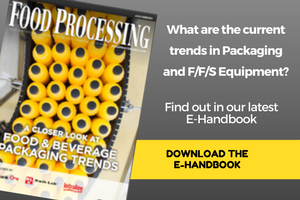 On average, the food and beverage industry allocates 5 percent of the total cost of food products to packaging. More on the survey is available at www.scienceoffresh.dupont.com. Reading, Pa. Norcross, Ga. Cary, Ill. Cincinnati Florence, Ky.Saint-Damien, Quebec, Canada Oshkosh, Wis. Schuylkill Haven, Pa. New Hudson, Mich. Kansas City, Mo. Duncan, S.C.